- fleece neck tube. I should have brought my neoprene face mask for the evening ride. But I made do. Other than needing to catch up with laundry chores, my get up worked well. I'm putting the neoprene face mask in my pocket tomorrow. Here are a pair of convertible mittens that I bought last year. They must be popular because they raised the price of them since I bought them. But they're still an excellent cold weather mitten for riding in frigid temps. At 20f, your hands will be toasty warm. At 5f, you'll be grinning to yourself at how warm your hands are. Great versatility, excellent venting and finger dexterity, the gauntlet is easy to use one-handed. And they even have a pocket for handwarmers. Good design and well made. I'm having a hard time with my Sidis leaking massive amounts of water, even with a pair of PI Barrier shoecovers. I guess the next step is waterproof socks? There are some at REI that got mediocre ratings, anywhere else I should look? I guess it depends on your shoe size but ive been wearing diving boots under my shoes when its wet and cold out, i use the 2mil thickness with those and a pair of socks under i had to go a size larger on shoes. are you riding to work or for fun? Big difference because of changing clothes. I ride year round to work so I usually try to just keep warm and cover my work clothes. So, Pearl Izumi is great place to start and look for outlet its even better. Leg Warmers under jeans, Arm Warmers under Sweatshirt, ocassionally I wear a vest for chest warmth but keeps pits from over heating. 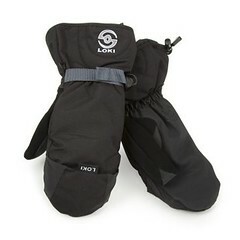 Lobster gloves are good or Swix has a mitten with gloves inside, throw a pair of hand warmers in and your set. I have waterproof pants that zip and velcro up sides so no taking off shoes when I get to work, and I stay dry and helps cut wind, Jacket depends on if its wet or dry. I prefer light layers. Beanie under helmet. Nike hatphones so I can have my music and stay warm, shoe covers if needed cause its wet and I want to wear cute shoes. Good to go for 30 mile round trip! Best part is my clothes are cheap and I'm not a walking advertisement for anyone. I passed about 3 other cyclists, all in full racing kit. Man, I keep feeling like I should buy more cycling jerseys and tights, and then throw them in the closet all winter and hang my bicycle in the garage. Then I'll tell cyclists on the forums and in the bike shop that they "gotta" get some tights and jerseys to ride in the winter. I haven't looked through all five pages of this thread, but are there any insulated pants out there? I usually wear synthetic long johns under jeans. That works well for me, but I wish there was a one-piece pant. Seems like there's so many types of coats for the upper body. What one-piece gament works for the legs? I would use these for 10-20 mile nighttime after-work rides, in the sub-freezing cold and dark. If I do something longer I'll go with bike shorts and poly underwear and sweat pants. I'm looking for one-piece convenience. Try the Col d'Lizard tights. I have a pair and they are superb. For conditions approaching zero, go with the 200 fabric instead of the 100. 8 degrees in the Colorado Mountains this AM. Hiking boots (toe cages). Long underwear, tights, cheap ski pants. Thermal shirt, light fleece pullover, gore tex ski jacket with all vents open. Snowboard gloves. Headband & googles. Six mile commute, perfectly warm. I wear Sporthill XC pants over my summer bibs. They are a special weave of polypropylene and quite amazing. I was out today, 1:15 of riding at ~25F, both pavement and snow. I sweat a bit in these but don't get chilled or feel much in the way of wind. If you're near the LL Bean store outside chicago, I got mine there and it was nice to be able to try them on. They are a close-fitting pant, not quite a tight. Separate question... I'm working on my feet right now. Today I had a thin polypro liner sock, mid-weight wool sock, and waterproof leather boots. The boots don't breath well at all so my feet got sweaty, the socks were quite damp when I got back. Should I try a thinner wool sock to reduce sweating or is that just going to happen with exercise regardless of my clothing? I live in the NE. One of the biggest things I've found in tolerating temperature extremes is regular riding. That is, if I've been riding / commuting several days per week, every week, my body adapts as the seasons change and I can tolerate riding in 100 degree weather or 20 degree weather. If I haven't been riding regularly and try either, I don't last long. I still use a Cannondale cycling jacket that I bought around 1984 for winter riding. It has a nylon front and arms and a polypro back. It works better than any other jacket I've tried over the years (I've tried Goretex, e-vent, windpro, etc). They don't breathe as well as my old ratty Cannondale which has just the right combination of wind protection and breathability. All the others cause my sweat to accumulate which soon gets uncomfortable. Wish cannondale still made that jacket. I'd buy several and be set for life! Let's see here, 27 years you've had that jacket and it's still going strong. If my math is correct, I'd say you only need 1 maybe 2 more to get you thru! Just kidding obviously, but I have to admire Cannondales quality. That, and your ability to make it last that long. Actually, I've only commuted year-round approx 8-9 years out of the 27 (3-4 years back then and 4-5 years now). During the in between years, I cycled sporadically and rarely cycled in weather cold enough to need the jacket. are there any insulated pants out there?.......... I wish there was a one-piece pant. Seems like there's so many types of coats for the upper body. What one-piece gament works for the legs?.......... I'm looking for one-piece convenience. I'll second the Sporthill XC pants. Originally designed as a cross-country ski pant that could quite possibly be the best winter cycling pant out there. A loose fitting comfortable pant that is totally windproof and coldproof. I commute in the morning with these over my workpants when its below 25f. I'll add leg warmers below 10f to -10. I wear them by themselves in the aftn when its above 20. They're not cheap ($105). But you'll find them cheaper if you search around. I found a pair on Amazon for $65 w/ free shipping. Their jackets make excellent mid-layers also. I wear a showers pass on the outside with a Sport Hill Symmetry jacket underneath. I wear that all winter regardless of the temp. If I need more warmth I'll add a long sleeve fleece shirt or jersey. Update 10/16/12; I have two pair of the Sport Hill XC pants. The one pair are going on its sixth winter and still look brand new. I expect to get many years out of these pants, unless I crash on the road and tear a hole in them. Then they're ruined. Can't recommend enough. Last edited by scoatw; 10-16-12 at 06:43 PM. The perfect gloves are a bit of a personal quest of mine. I'm going to experiment with a few different liners this winter to try my personal best combination. that's an unbelievably hot setup for non-winter riding (to me). There are a couple of glove recommendations here. My preference is a very thin pair of polypro type gloves under my biking gloves. Over that goes any of several pairs of gloves depending on the temperature or none if it's about 45F to 55F. As it gets colder I add a pair of gloves over that combination that aren't very thick and then switch to gloves with wind-block. Once that isn't warm enough I switch to putting pogies on my bike. Locally winter riding must be done on a mtn bike of some type and pogies with a heat-pack tossed in and a medium weight glove will take me down to any ridable temperature. Well, it is. What I meant is, that is what I usually wear for winter riding. My bad. Right now we've got 15C and some hard winds and rain. Just a windstopper jacket with a a longsleeve Icebreaker 200 merinowool shirt is enough. During winter snow is pretty rare, but freezing temperatures are common. Combined with strong winds because I live close to the sea windchill becomes something to keep in mind. When it's just below freezing, but you have windforce 7 or 8 even those ski-gloves are not enough on a bike. -5C with 50km/h winds mean a temperature of -25C or -13F. Just bought head/ear band, under armour coldgear longsleeve compression shirt, thermal tights, arm/leg warmers, shoe cover, and gloves...am I forgetting something? If it's cold enough for that gear consider what you'll do if you flat out. Once it gets cold enough for gloves, thermal tights and such, it's probably cold enough to bring panniers and enough warm clothing to keep you warm while you change a flat. Either that or know you can get a ride. Hey guys, I have question. I've noticed that my core is overheating like a mofo. Even in 24 degree weather, I'm still sweating like nobody's business. My base layer is a short sleeved Champion C9 wicking shirt. My mid layer is a Mission Workshop Bosun Merino wool midweight jacket http://missionworkshop.com/products/...wool-bosun.php. On the outside, I'm wearing a North Face wind/water resistant "windbreaker", which is lined on the inside but lets ZERO heat/sweat escape. Is my outer layer the problem? Should I be wearing a thinner windbreaker? If so, how cold could a mesh lined windbreaker plus midweight merino jacket plus polypro base layer take me? I sweat no matter how low the temperature gets. I'm going into my fifth winter of riding now and have found over the years that all I really need on top is a long-sleeved base layer (I usually wear SmartWool) and my Marmot windbreaker. As others have pointed out, I guess you could throw something extra in your pack for when you catch a flat. The gloves were a bit leaky and not really cutting it but otherwise I was comfy or too warm even. Good call. I expect to sweat, but the issue is me getting to work soaked just as much as when I ride in 100 degree weather. I went to REI last night to check out their cycling jackets; I tried all the Novara and Pearl Izumi stuff. It turns out my softshell is WAY thicker than any of their cycling windbreaker/outer layers. I'm going to try a thinner lightweight polyester shell and see if that works.